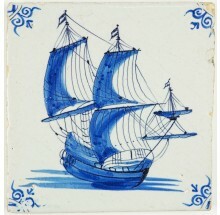 Ships and boats were often painted on Delft tiles thanks to the Dutch who roamed the seas during the 16th, 17th and 18th century. 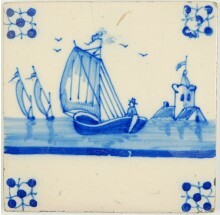 Nautical tiles are among the most popular and exciting type of Delft tiles to collect. 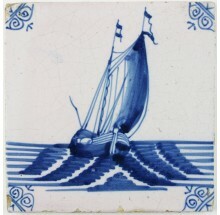 Sea creatures and monsters documented in those days must have caused quite some fear among the crew on the legendary ships that the Dutch used. The ships and boats they had to explore the world with, still impress us today. 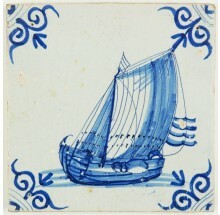 If you have any questions about Delft tiles depicting ships or boats, or if you are looking for something specifc, please do not hesitate to contact us. Click here to visit our contact page.